We crave to make a product of exceptional value providing the utmost experience. 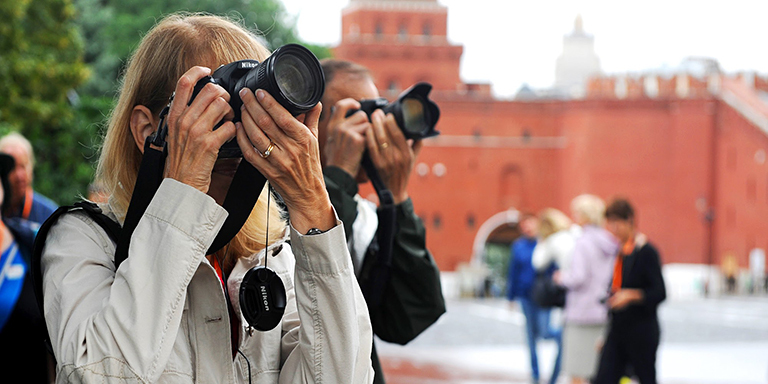 Everything is comparative so we decided to analyze tours to Russia available now on the market and compare it to our own comprehensive Russia small group tour - Two Russian Capitals. Firstly, we always greet our guests, therefore you can be sure that there's someone to meet you when you book through Firebird Tours. This saves hours of your time and makes travel worry-free as our airport transfers tune up to your flight schedule, not the other way around. That said, as you might have noticed, Insight Vacations have transfers twice or thrice a day, regardless of your departure time. The preparation process for a tour to Russia can be time-consuming and even tricky, especially when you have to deal with obtaining a Russian visa on your own. Unlike both our competitors we include complimentary full visa processing or comprehensive visa assistance for our clients. That means that you don't have to bother getting required documents, such as visa invitations, filling out extensive application forms and etc. Details matter, and while discovering a new destination not only tour guides are important, so is the group size. We have narrowed down our small group size to 20 providing enough attention from the tour guide and ensuring some saved time which is usually wasted on waiting for other group members (to compare take a look at the number of travelers in the Insight Vacations' tour). We love showing the best in each multisided Russian city, and for this reason, we include entrance tickets to a Russian Folk Show and to the absolutely unmissable tour to the Catherine's Palace in Pushkin, for example, (instead of offering them as optional tours). With a special accent made on culture, we also add a visit to the brilliant Tretyakov Gallery in Moscow, unlike the program by Beyond Travel. Our in-house logistics guarantee a good timing ratio. While planning programs, we do our best to organize time in a way that each day isn't overcrowded with too many activities, each sight is seen thoroughly without any rush, and no day is left with no activities. Totaling up the programs of our rivals we came to a conclusion that we got our program days scheduled "just right". Finally, our small group tour has a special offer: a free 2-day extension in Moscow & St. Petersburg, featuring a guided tour to the famous Novodevichy Convent and a trip to Pushkin to see the stunning Catherine's Palace. We hope this comparison will be helpful for you and help you understand the overall value of the product better. Perfection always hides in the smallest details and we do our best to make sure any of our trips are seamless, comfortable and memorable for our valued customers. Our destination specialists are always happy to help you plan an amazing journey. So whenever you are ready, don't hesitate to contact us.